WordPress is arguably the best CMS in the world and it powers 32% of the entire web. That number is absolutely, totally, awesome! As a direct result, more and more people search for on-point WordPress advice and tutorials around some common topics related to the platform. 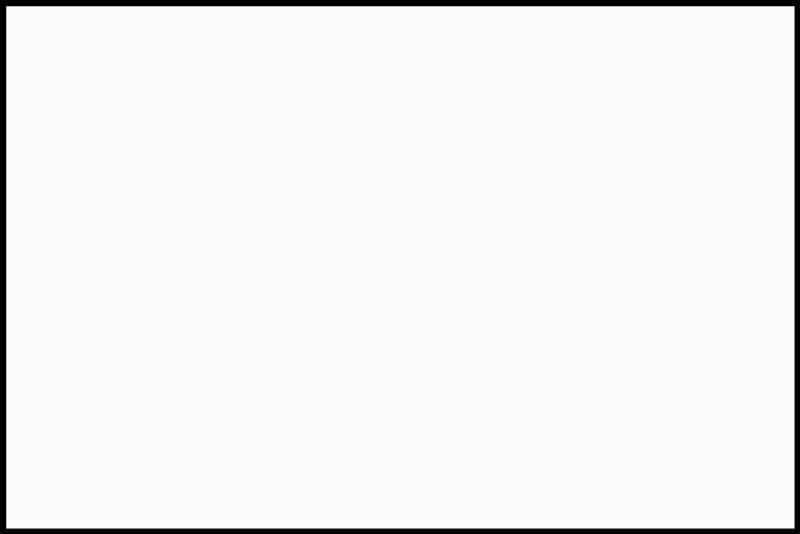 A blog that delivers content for people who have just come into the WordPress world and need to learn the (very) basic things, such as adding an image to a post or creating custom menus. 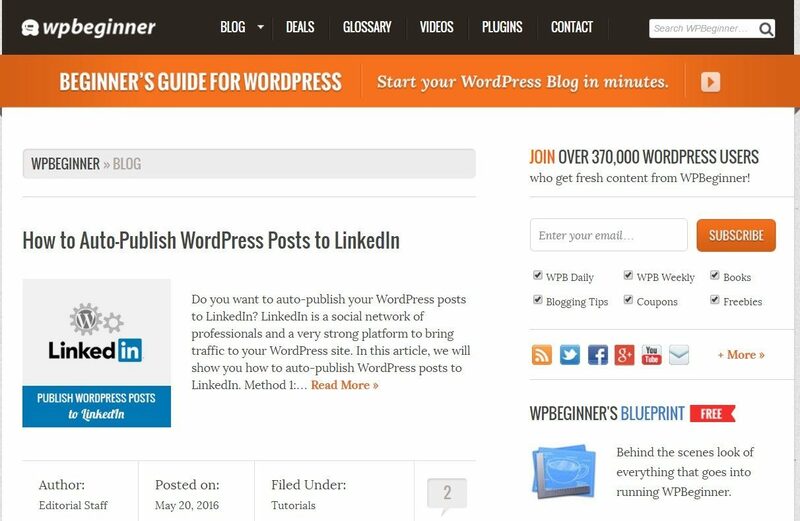 In short, this blog is very popular because it actually helps everyone to learn WordPress. Apart from beginner guides, WPBeginner also keeps you connected with the newest stories, events, themes and plugins, and everything else that has to do with WordPress. Plus, the blog is updated daily. 5 Best Drag and Drop WordPress Page Builders Compared – 9,100 total shares. 24 Must Have WordPress Plugins for Business Websites in 2018 – 4,700 total shares. Looking for expert recommendations and in-depth advice? 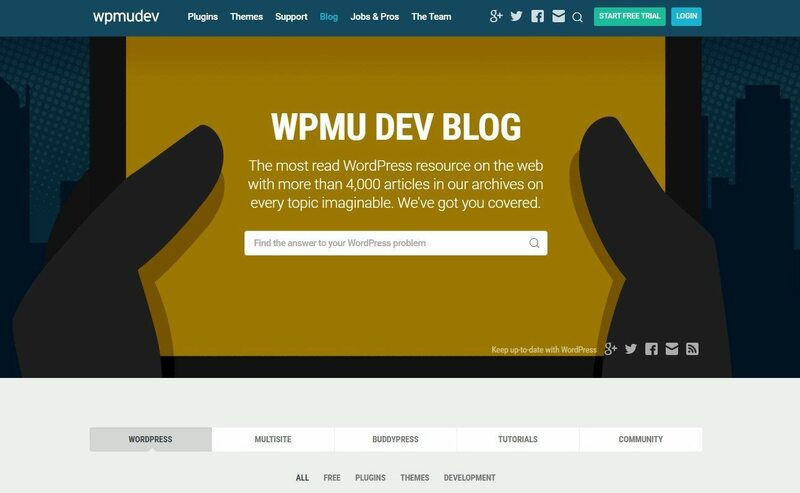 WPMU DEV is one of the strongest blogs for WordPressers out there. The guys at WPMU DEV cover very interesting topics and somehow manage to do it in an equally interesting way. On this blog, you can find WordPress-related posts from multiple categories, everything from beginner to advanced topics. WPMU DEV will provide you with some of the best tutorials and tips in the community. Setting Up Personalized Shortened Links Like Bit.ly with WordPress – 1,100 total shares. How to Scan Your WordPress Site and Patch Security Vulnerabilities – 1,000 total shares. WP Tavern is the main news site in the WordPress community. It brings you a daily dose of news stories on all WordPress-related topics. Check it out to stay updated with all the latest releases, announcements, events, plugins, themes, general goings-on and etc. 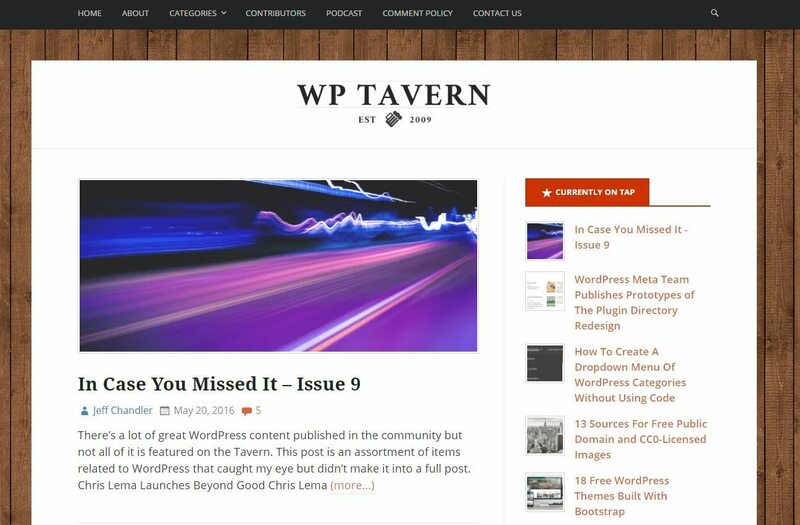 Chances are, if anything happens in the world of WordPress, WP Tavern will cover it. Outdated and Vulnerable WordPress and Drupal Versions May Have Contributed to the Panama Papers Breach – 1,800 total shares. A Bug in Chrome 45 Causes WordPress Admin Menu to Break – 1,700 total shares. The company blog of team Elegant Themes, but it’s much more than that. The blog covers how-tos on various WordPress topics, focusing on practical advice that anyone can apply. Of course, it’s also a place where the team shares what’s going on with Divi and the other products by the company. 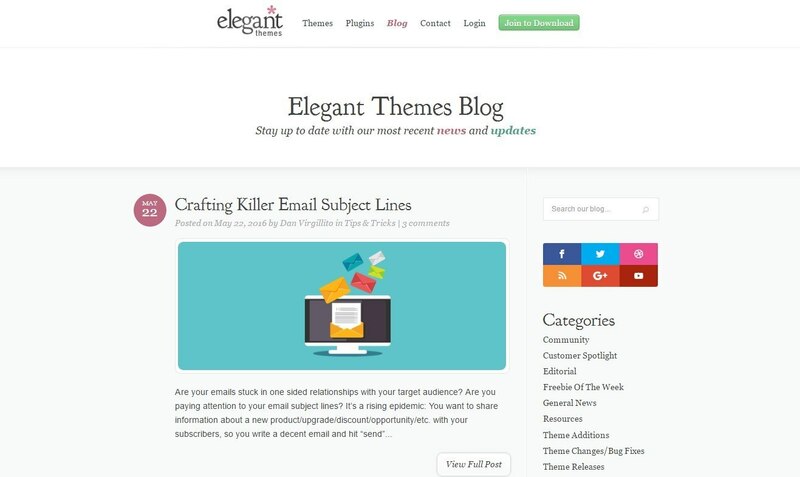 Elegant Themes is a very good place to start learning the secrets of WordPress. Divi 2.4 Has Arrived! Welcome To The Biggest Upgrade In Divi’s History – 12,500 total shares. Divi 2.7 Has Arrived, Including The Divi Leads Split Testing System, Improved Portability & More! – 6,000 total shares. This is us! 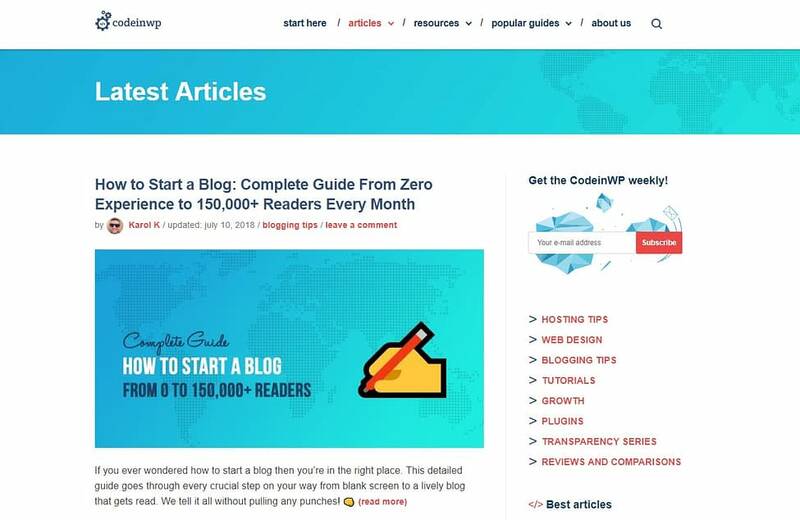 CodeinWP covers myriads of WordPress content, starting from tutorials on WordPress usage, to the company’s transparency reports, to plugin lists, to top theme lists, to in-depth research posts. Check out CodeinWP if you want to learn about WordPress overall, and find out not only about the platform’s tech-related inner workings, but also the business side of things. The goal is to give you in-depth information about various WordPress resources, but also deliver it in an easy to understand form. 6 Best Contact Form Plugins for WordPress Compared – 3,400 total shares. 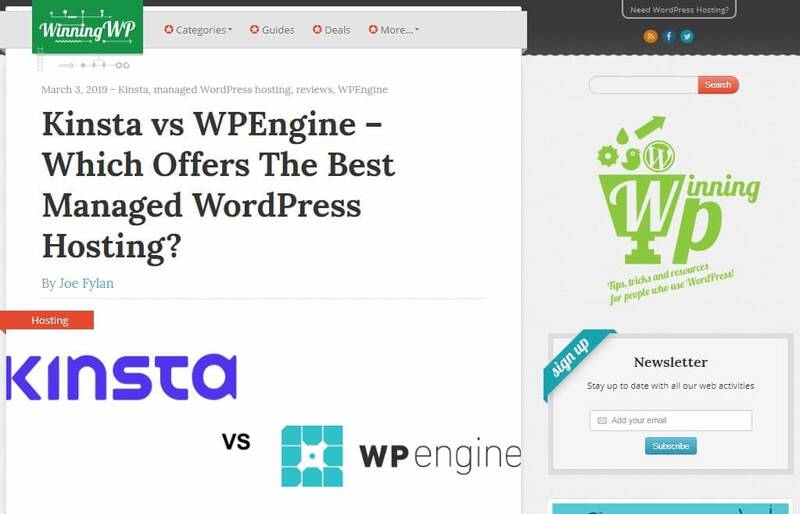 Best WordPress Hosting Providers Compared [By the Numbers] – 2,300 total shares. Chris Lema is a developer, writer, and speaker, and he also runs one of the best on-topic blogs about WordPress. He covers not only WordPress tutorials, but also tackles things like marketing, social media, theme development, plugins, hosting, and much more. In a sentence, read his site to stay updated with whatever is the most interesting topic in WordPress this week. 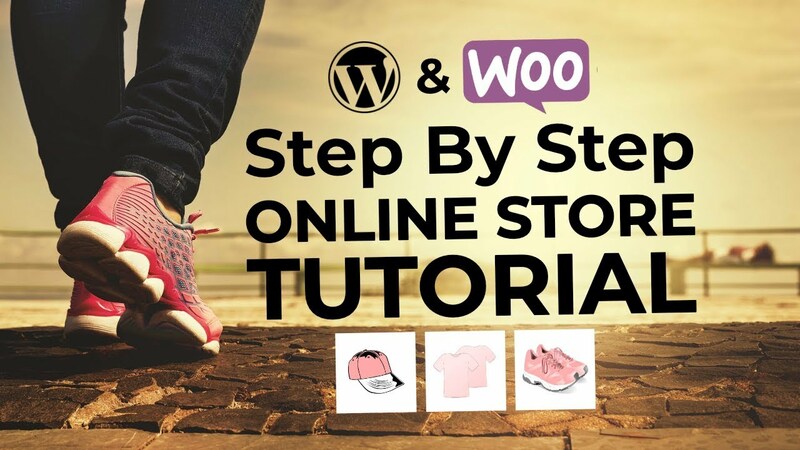 WooCommerce Hosting – What you need to understand – 875 total shares. The business problem many men don’t have – 865 total shares. 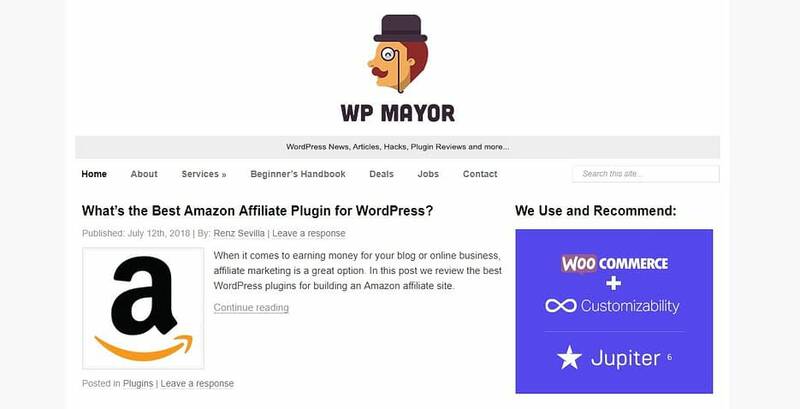 WP Mayor is one of the most recognizable brands in the WordPress space. It’s known for covering various related topics, starting from tutorials, to WordPress themes, plugins, exclusive deals, and even e-commerce for WordPress. WP Mayor also hosts giveaways and publishes product reviews, should you ever need a new theme or plugin and want to find out if it’s going to work for you. 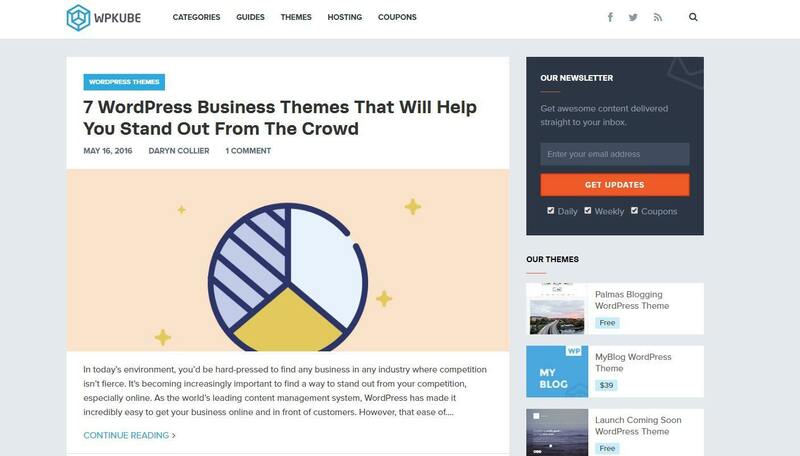 6 Best Examples of Content Aggregator Websites That Rock – 317 total shares. Best Google Analytics Plugins for WordPress – 268 total shares. WPKube delivers lots of great insights from various categories, such as beginner guides, security, themes, plugins, news, product reviews, advanced tutorials, quick WordPress tips and tricks. The site’s main goal is to provide in-depth information and great insights on everything related to WordPress. 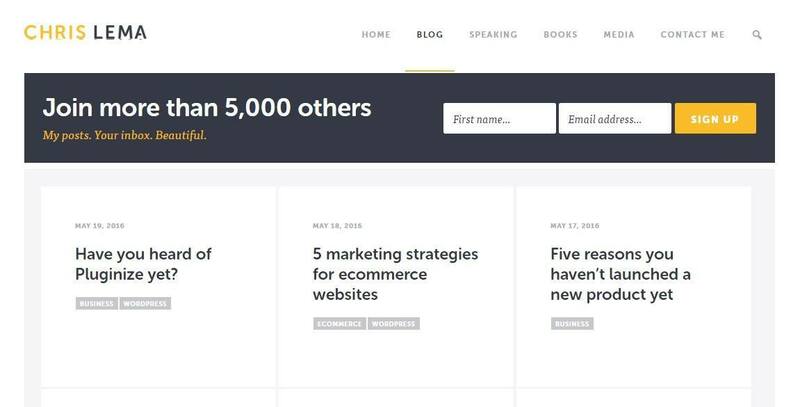 Toivo Theme Review: A Simple Business Theme Without The Bloat – 1,600 total shares. All You Need To Know About How To Promote WordPress Plugins And Themes – 1,500 total shares. 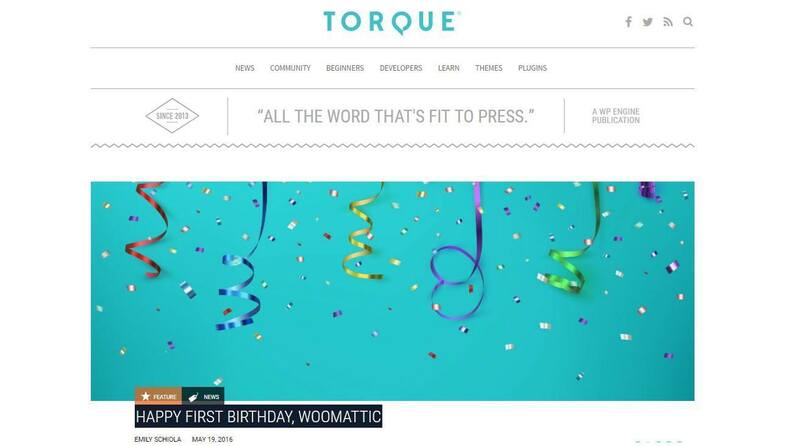 Torque is a WP Engine publication, and it comes with both advanced and beginner-friendly tutorials and guides. On top of that, it also covers various news stories, and interviews with people working with WordPress. 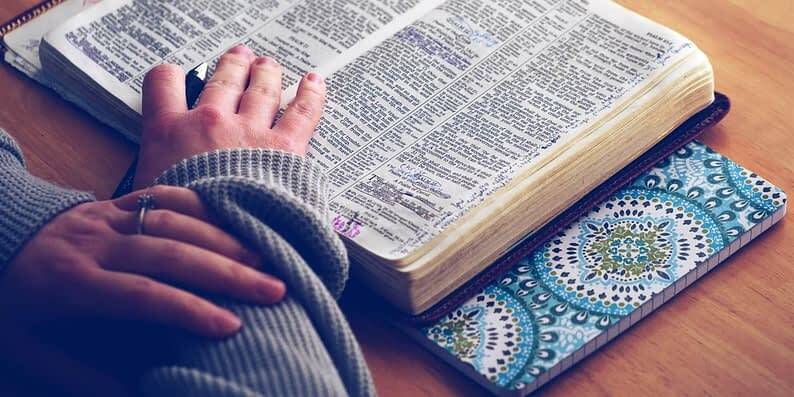 Torque keeps its posts in well-defined categories, catering to different types of readers: community, beginners, developers, and “learn” (their how-to section). Also, there are separate sections for themes and plugins. How to Easily Check and Update the PHP Version of Your WordPress Site – 505 total shares. Top 10 Blank WordPress Themes And Their Impressive Advantages – 316 total shares. 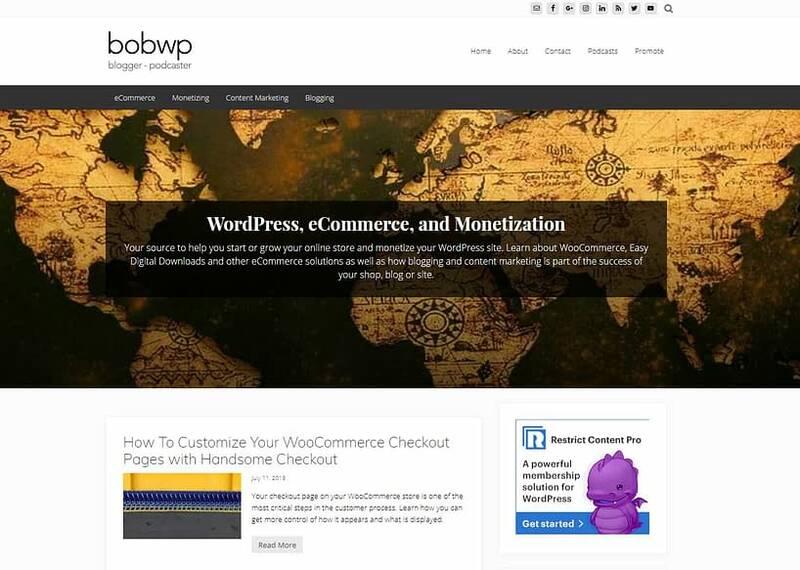 Bob’s site is full of beginner tutorials covering various aspects of working with WordPress, such as themes, plugins, content creation, and WooCommerce. Bob is known for his honest approach, and as he says himself, he has a heart for teaching. He also has his online courses, getting people familiar with WordPress and how to work with it on a daily basis. How To Create Posts and Pages in WordPress – 221 total shares. infolinks Review: An Option for Blog Monetization – 205 total shares. WinningWP is a blog run by Brin Wilson for a long time now. Here, you can find all the WordPress topics you might be interested in, starting from technical guides and ending with marketing and blogging advice. So they basically get kind of everything covered. Not only they deliver educational and practical content but WinningWP is also a trustful source of WordPress news and updates. Moreover, on this blog you can submit guest posts and get your plugin reviewed. All The Best WordPress-Related Resources (A Giant List!) – 138 total shares. Ten Essential WordPress SEO Tips (Tutorial Video) – 31 total shares. And finally, a bonus blog! We’ve launched the ThemeIsle blog a couple of months ago, and our main goal is to deliver beginner-friendly advice that everyone who’s new to WordPress can follow. Some of the things you’ll find here is in-depth tutorials, guides, lists of best plugins for a given purpose, but also other related topics such as marketing and social media (for your new WordPress site). In a sentence, everything to help you maintain an awesome WordPress site. Blog Name Generators – How to Find a Name for Your WordPress Blog – 985 total shares. 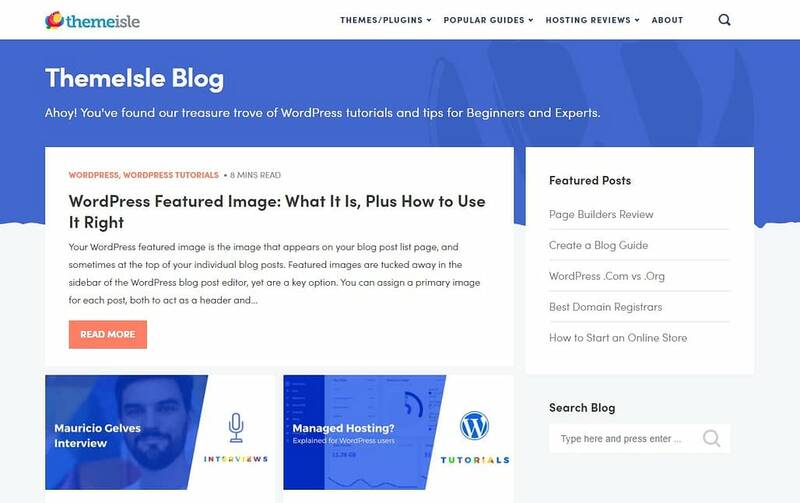 How to Install WordPress: Beginner’s Guide 2019 – 178 total shares. Now it’s your turn. Where do you get your daily WordPress dose from?